Sanlorenzo’s unprecedented asymmetrical yacht, SL102Asymmetric, has made its American debut. 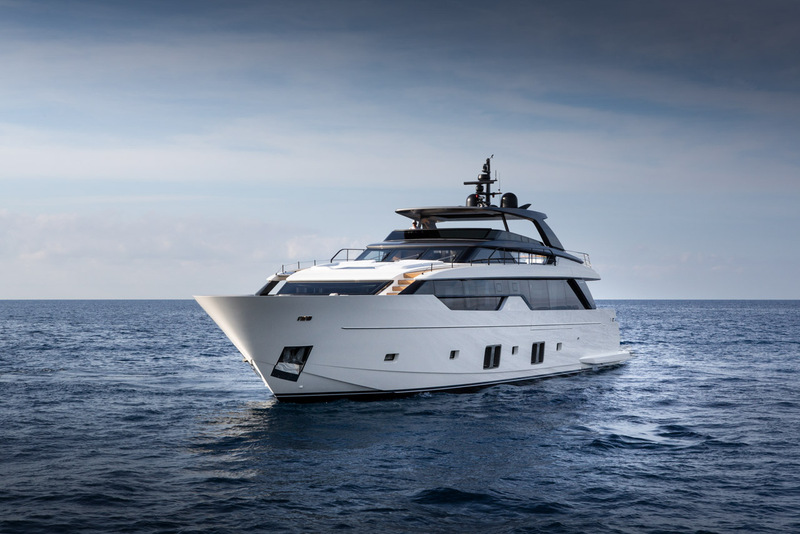 From 28 to 31 March, Italian superyacht manufacturer Sanlorenzo is taking part in the Palm Beach International Boat Show, to present the SL102Asymmetric and the latest innovations of its fleet. Sanlorenzo is justifiably proud of the SL102 Asymmetric, the result of a bold project to create the world’s first asymmetrical motor yacht. With the aim of better use of interior spaces and better access to the exterior, the SL102Asymmetric rethinks the well-established layout of a yacht, keeping the deck on the starboard side and eliminating the port side one, which is carried on the roof of the structure. The configuration allows for the recovery of about 10 square metres of interior space. 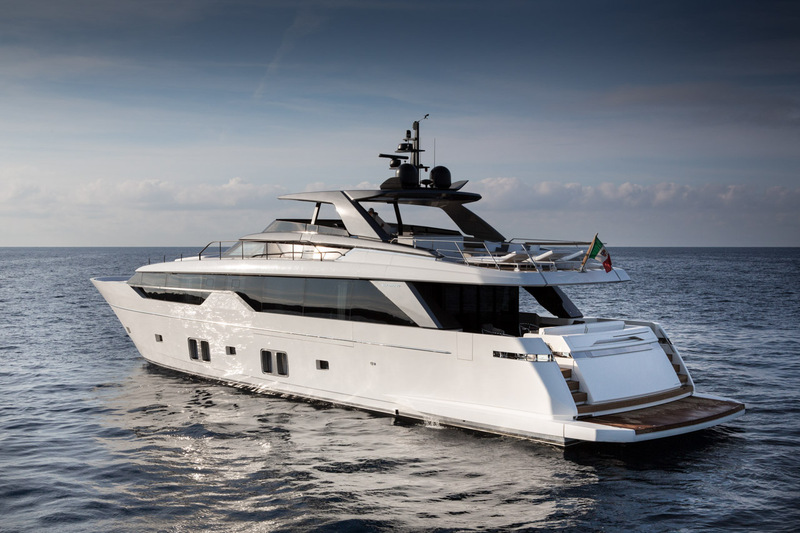 The project shows all the style characteristics of Sanlorenzo. Massimo Perotti, Sanlorenzo’s Chairman, proved willing to back this idea to challenge traditional conventions. 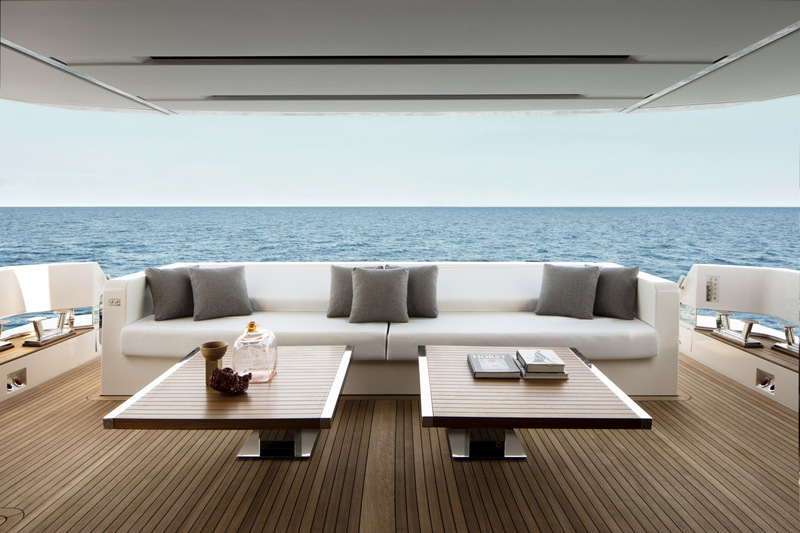 The payoff is maximised living spaces, and, according to Sanlorenzo, an improved relationship with the sea, the quintessential reason to own and use a boat. The starboard side has a deck that leads from the aft cockpit to the bow living area, along which the bulwark at the living room level opens to form a terrace. This is an idea that Sanlorenzo first applied to the 40Alloy superyacht in 2008. The port side, on the other hand, looks like a wide body hull, thus a yacht much larger than the 31.1 metres of the SL102Asymmetric. 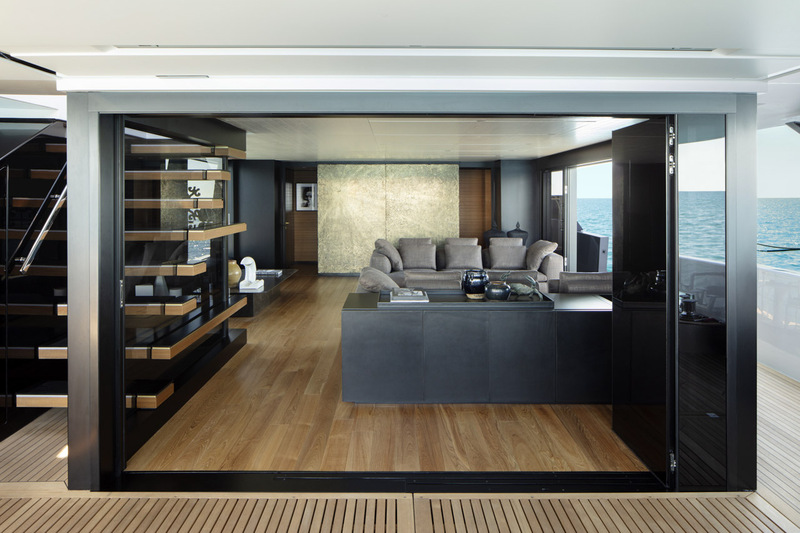 The port side is in fact continuous from the waterline to the flying bridge because the deck, constructed on the roof of the superstructure, flanks the flying bridge at the same level, to then descend into the living room by a staircase of six steps. Also on the port side, at the level of the dining area, part of the side wall can be lowered with external hinges and electric movement, increasing the angle of view outside. The asymmetry allows for the placement of a large dining room with full-height window that overlooks the sea on one side, while on the other, to starboard, a living room that opens onto a balcony. The development of this idea has drawn on the creativity of multiple minds. From an original idea by car designer and ​​recent collaborator Chris Bangle, the technicians and interior designers of the shipyard, to architect Bernardo Zuccon, following in the artistic footsteps of his family’s Zuccon International Project. The asymmetry is disguised in the skilful design of the walls, which bear the same lines on both sides, and in the use of a decorative handrail on the upper port side deck, which also contains a sunbathing area on the roof of the flybridge. The two passage areas to the bow, one on the upper port side and one on the lower starboard, were adjusted to create a sort of “trompe-l’oeil” which requires the viewer’s careful eye to decipher volumes, passage areas, and movements, aided by the visual play of light and dark in the windows of the bow and the roof of the superstructure. 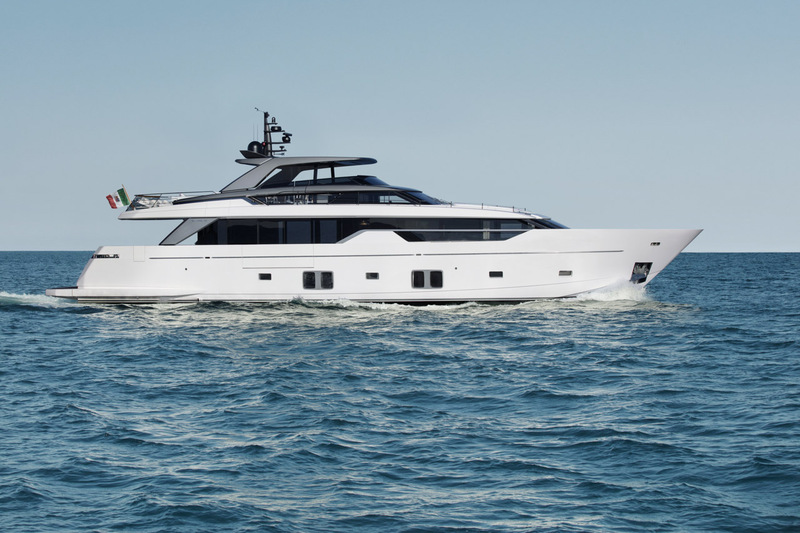 Sanlorenzo also offers various asymmetric layout solutions for the SL102Asymmetric: the American layout uses the forward area of ​​the main deck for a large country-kitchen, which is connected to the dining room towards the stern. In the hall, near the door to the cockpit, there is a bar counter. The owner’s suite descends to the centre of the lower deck and there are three guest cabins, a double VIP and two doubles with single beds. 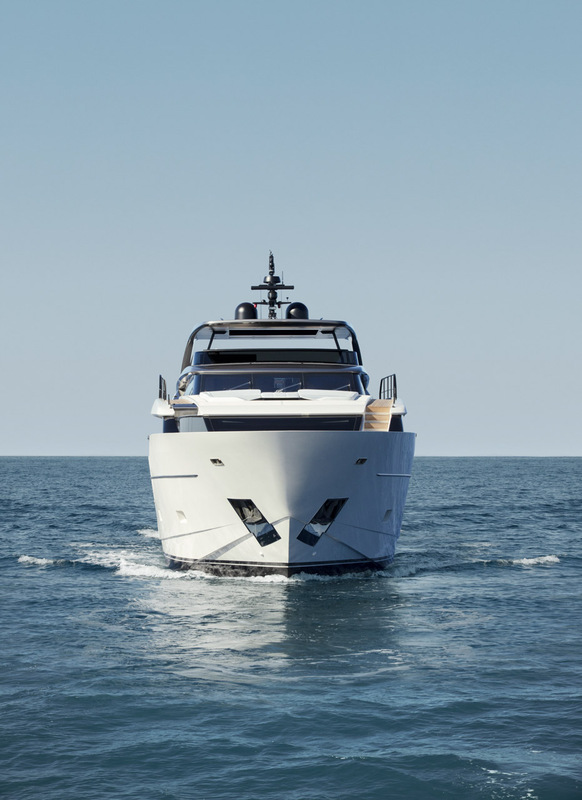 Like all Sanlorenzo vessels, the SL102Asymmetric is also built according to the tastes and needs of each owner, in accordance with the shipyard’s ‘made to measure’ philosophy. The engine system, by MTU, is twin 16V 2000 M96s, with an output of 1,790 kW/2,434hp, classified by the German company for fast vessels with low load factors. It provides a maximum speed of 28 knots and a fast cruising speed of 26 knots. The company will also present the SX76 and SD112 yachts in its display at the show. SX76(24 metres in length) is an intelligent synthesis of the classic flybridge motor yacht with the recent and growing explorer model. 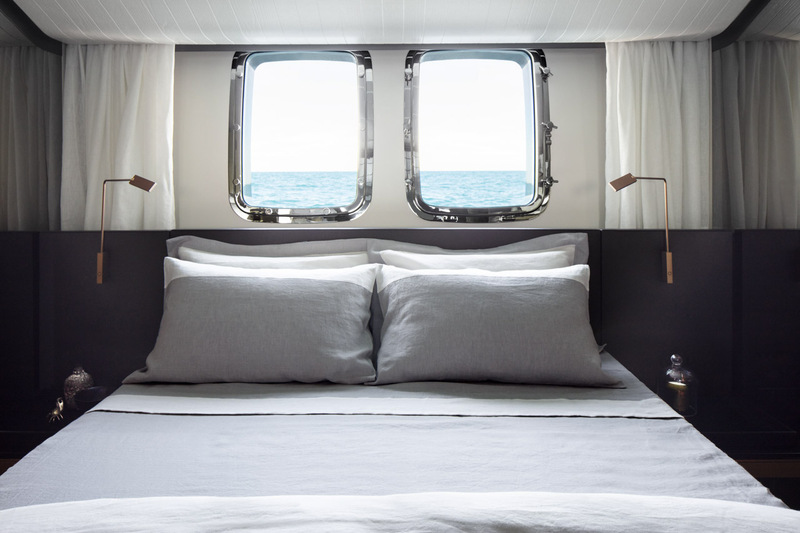 The wheelhouse, placed only on the flybridge, frees up living space at the bow on the main deck, which can therefore be dedicated to the dining room adjacent to the kitchen. 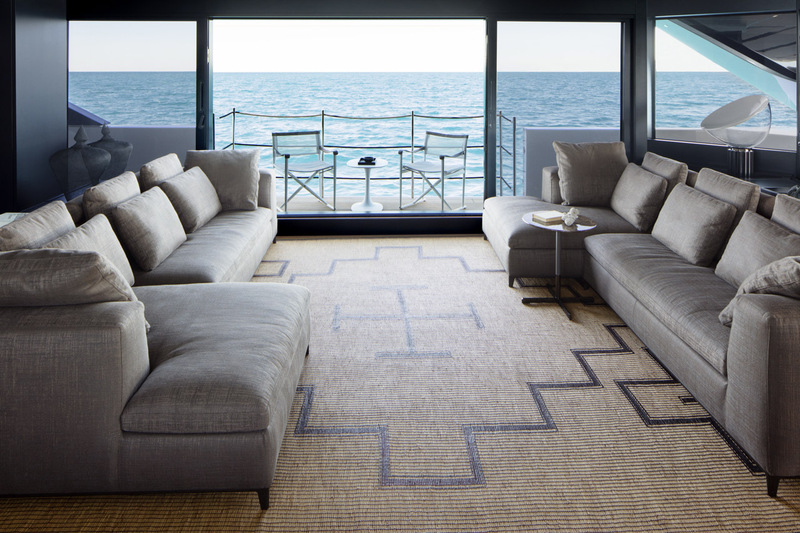 The main deck interior can also be configured as a single open environment for a continuous living area, saloon, dining room and open kitchen. SD112(34 metres in length) maintains the unmistakable exterior features of the SD line, such as the curved doors of the sides, the ‘funnel’ that brings to mind 1930s transatlantic liners, and the lateral windows shape, offering various innovative solutions such as the foldable terraces that can open out seawards and the door to connect the huge cockpit to the saloon that, when completely open, creates a spacious living area.